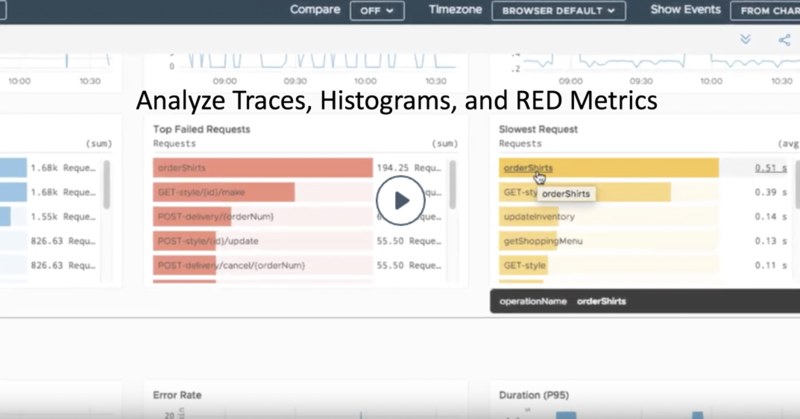 Learn about our tracing implementation and watch a demo. 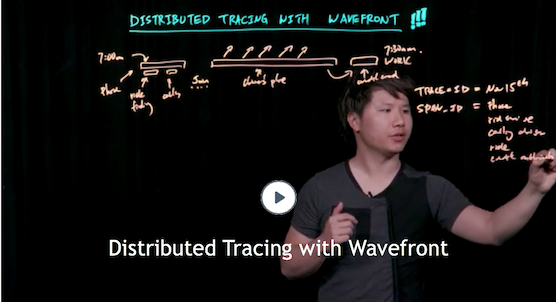 Wavefront supports distributed tracing with third-party apps such as Jaeger or you can instrument your app with one of the Wavefront SDKs. Watch these videos for more. Clement first explains how you can visualize traces collected with Jaeger and Zipkin with the Wavefront UI. He then uses the example of monitoring a ride sharing app where a single trace includes apps on the user’s phone, the driver’s phone, etc. You can visualize the different components with the Wavefront tracing UI - and also use our UI to drill down on potential problems. Because we’re Open Tracing compliant, you can customize the trace with our SDKs and then look at aggregated information that shows how things are connected. 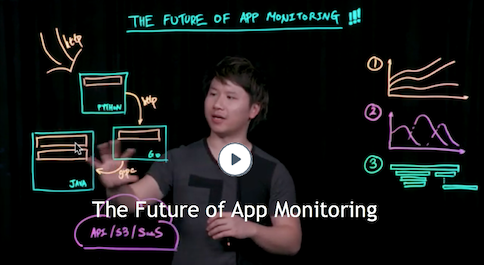 Clement first discusses how you can monitor metrics, histograms, and traces with Wavefront. He uses an example of monitoring microservices by traversing multiple languages and transport layers that use different Wavefront open source SDKs. This short demo illustrates how you find a problem with our tracing UI. You start looking at services, and then drill down to charts that show, for example, the slowest operations. You can select potential problems in the chart, and then select a trace and examine individual calls from there.